All of the players on the Cedar Rapids Kernels baseball team have dreams of playing in the Major Leagues and winning a World Series for the Minnesota Twins some day, but you'd be dead-wrong to think they didn't care deeply about winning a Midwest League title on their way up the ladder. Several Kernels sat quietly in their dugout Monday night after they lost a heartbreaker to the West Michigan Whitecaps, 3-2, in the championship game of the Midwest League playoffs. Other Kernels were draped on the dugout fence, watching the Whitecaps celebrate on Perfect Game Field and then accept the championship trophy. Two Kernels sat in the dirt near their bullpen, not ready to budge. Other players picked up their gear and filed slowly to the clubhouse for the last time in a season that began 149 games ago in April. "We definitely cared," said 19-year-old shortstop Nick Gordon, a $3.85 million bonus baby who developed before our eyes this season. "Everybody went out there and gave their all." Once again, the Kernels could not get a big hit at the right time Monday night. 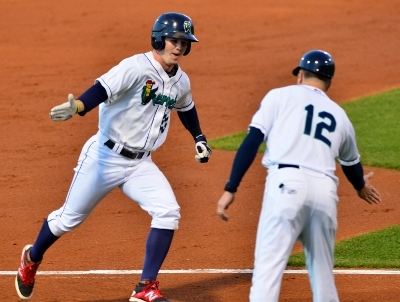 It was the same story Sunday when they lost to the Whitecaps, 2-1, in Game 4 of the series after loading the bases in the bottom of the ninth. The Kernels took an early 2-0 lead Monday, fell behind 3-2 in a disastrous fifth inning and could not take advantage of two promising opportunities in the seventh and eighth innings. "It's a shame. 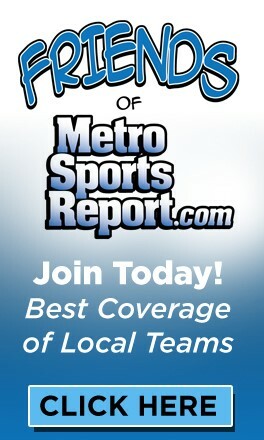 That was a shame," Kernels Manager Jake Mauer told reporters in his office. "It's just a shame, our bats really didn't show up the last three days." The Kernels swept their first two playoff series against Quad Cities and Peoria and had a 2-1 lead in the best-of-5 finals against the Whitecaps, but the visitors ended up dancing on Perfect Game Field while the Kernels packed their bags. Mauer was justifiably proud of his guys for their work this season, but naturally sad about the way it ended. "If you would have told me in April that we'd be sitting here - what is it, the 21st of September? - I'd take that any day. Absolutely," he remarked. Mauer will join the Minnesota Twins as a coach for the rest of the season, beginning Tuesday at Target Field in Minneapolis. The rest of the Kernels will be heading home or to fall ball for the next step in their career. 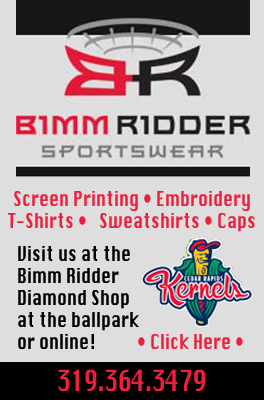 Some of the Kernels will be promoted to Fort Myers next season. Some of them will be assigned to Cedar Rapids again. Some of them will be released from pro ball. They exchanged a few hugs Monday night when it was over, not knowing exactly when they'll see each other again after a successful ride in Cedar Rapids. And make no mistake, they cared about what happened on the field here Monday night. "It's still baseball," said muscular third baseman T.J. White. "Losing is tough. We made it this far, we wanted to come out with a W. It didn't turn out for us." The Kernels got off to a good start Monday. Austin Diemer socked a solo home run in the third inning for a 1-0 lead and they made it 2-0 in the fourth on a triple by Edgar Corcino and an RBI single by White. Kernels starter Randy LeBlanc cruised through the first four innings on the mound and the enthusiastic crowd of 2,363 sensed they might witness the first Midwest League title for a Cedar Rapids team since 1994. Things unraveled quickly in the top of the fifth. LeBlanc got the first out, but a walk, a single and another walk loaded the bases with one out. 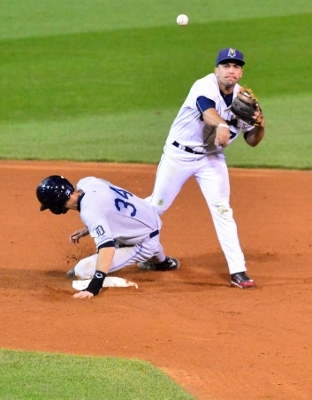 The Whitecaps scored their first run on a high hopper to Gordon when the Kernels were unable to turn the double play, then David Gonzalez - a .069 hitter for West Michigan in the playoffs at that point - lined a two-out single to right field to tie the game. Luke Bard replaced LeBlanc point, but Bard - who had little time to warm up - uncorked a wild pitch and hit a batter to re-load the bases. The Kernels could have escaped without further damage, but catcher Brian Navarreto committed a rare passed ball to let the go-ahead run cross the plate. Navarreto had a strong year behind the plate for Cedar Rapids, but he got beat up in the playoffs by foul balls and let a pitch get away at the absolute worst time. 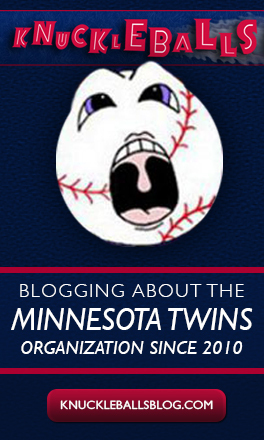 "It's unfortunate that's what it comes down to and turns out to be the winning run," said Mauer. "In my book, he's the best defensive catcher we've had in the three years I've been here. It's off his glove and they're celebrating." White belted a 390-foot shot to left-center in the sixth inning, but the ball was caught at the edge of the warning track. The Kernels put two runners on base in the seventh inning and again in the eighth, but could not get a key hit. Max Murphy drew a one-out walk in the ninth inning in a 10-pitch at-bat, but pinch-hitter Brett Doe and Diemer struck out to end the ballgame. "They take advantage of a passed ball and that's our season," said Mauer. The Kernels compiled a 1.54 ERA during the playoffs, but they hit just .238 and fell a hit or two short of the title. WEST MICHIGAN (3): Kivelt, cf, 3 0 0 0, Simcox, ss, 4 0 0 0, Gerber, rf, 4 0 1 0, Scivicque, c, 4 0 0 0, Stewart, lf, 3 1 0 0, Pankake dh, 3 1 1 0, Kengor, 1b, 3 0 1 0, Contreras, 3b, 4 1 1 1, Gonzalez, 2b, 3 0 1 1. Totals 31 3 5 2. KERNELS (2): Valera, 2b, 3 0 0 0, Gordon, ss, 4 0 0 0, Corcino, rf, 3 1 1 0, White, 3b, 4 0 1 1, Wade, cf, 3 0 0 0, Paul, 1b, 4 0 0 0, Murphy, dh, 3 0 1 0, Navarreto, c, 2 0 0 0, Doe, ph, 1 0 0 0, Diemer, lf, 4 1 1 1. Totals 31 2 4 2. Seaton, Moreno (7), Ravenelle (8), Jimenez (9) and Scivicque. LeBlanc, Bard (5), Landa (6), Anderson (8) and Navarreto. WP - Seaton (1-0), LP - LeBlanc (0-1). Sv - Jimenez (4). 3B - Gerber (2), Corcino (1). HR – Diemer (1). SB – Pankake (2), Wade (2), White (2), Valera (1). T – 2:53. A – 2,363.